PayIt2 loves fundraisers and events. But what about fundraising events? We love those too! However, there is no easy PayIt2 preset for both Events and Fundraisers, so we'll need to improvise. This is a quick step by step tutorial on how to do that with a few helpful pointers. 2. Fill out the information to match your fundraising event. Now, scroll down to the payment options. See how there are two payment options? 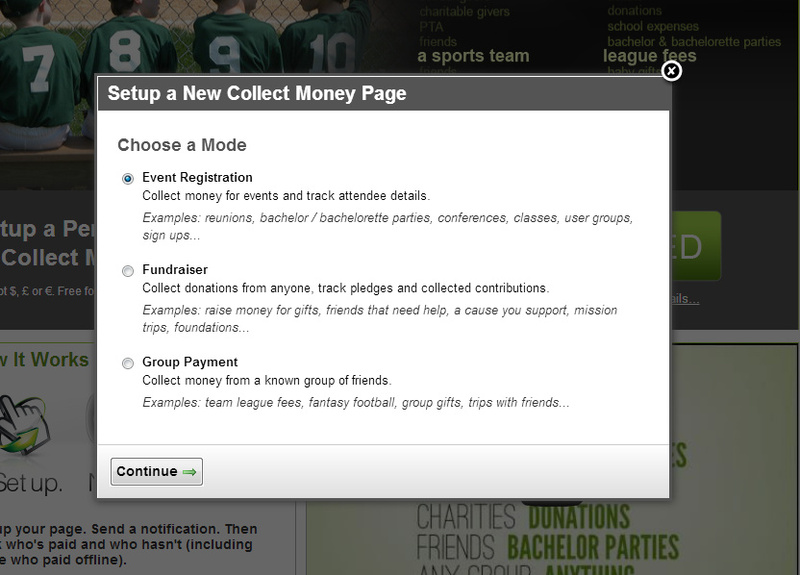 The first one will keep your attendees on track, the second will gather donations. 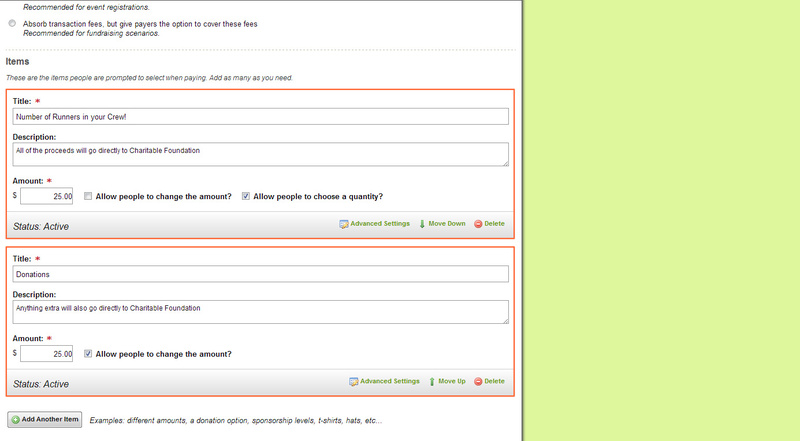 For the registration item, select "Allow people to choose a quantity" and not "Allow People to change the amount". This will allow people to choose how many participants they are paying for. For the donation payment item, choose "Allow people to change the amount" if you wish. The totaled amounts will show up in the reports as "Number of runners...1" "Donations ... 25.00" and will allow you to keep track of side donations along with registration costs.